You are looking for a pet-friendly home with a warm country charm where you can feel carefree and young at heart. Where award-winning food is served by friendly staff in a luxurious dining room. Where you can enjoy a game of bridge, an outing on the bus, or a visit to the games room to enjoy the grand piano. Where your old friends can meet your new friends and you can live with your beloved family pet. Bridlewood Trails is just this place. Live the kind of active, carefree lifestyle you deserve with all the comfort and services that allow you to focus on what's important — simply enjoying life! 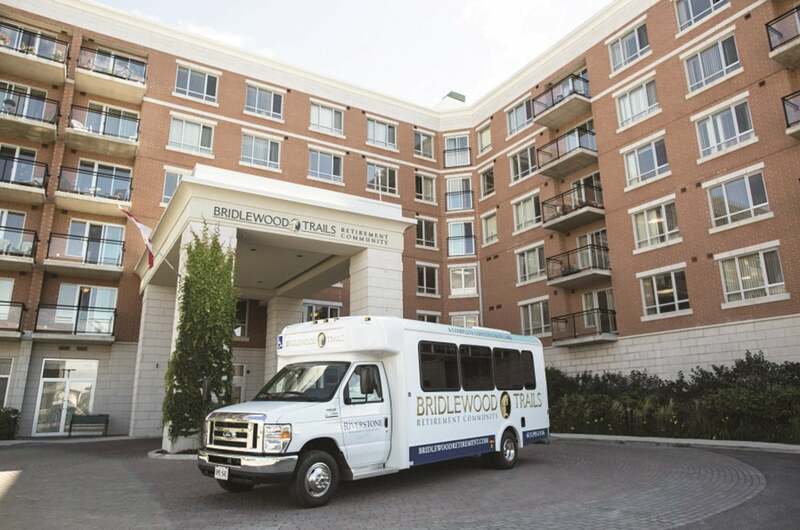 Our complete continuum of care allows you to choose the Bridlewood lifestyle that suits you best. Like our staff, our residents are here for good once they come through the door. You are always free to come and go as you please, taking part in plenty of in-house and outside community activities throughout the city. Find everything you need for your safety, comfort, and enjoyment at Bridlewood Trails. The suites are designed to meet your specific needs, and we also offer a host of amenities and services that enhance your quality of life. Enjoy homecooked meals from a facility that has won two food awards from the Kanata Seniors Centre. Surrounding Bridlewood trails is a quiet neighbourhood near parks and green space, with shops, restaurants and cafés, all within a short driving distance. We will be more than happy to answer any questions you may have in regards to the Bridlewood Trails Retirement Community. Talk soon!